Let Your Enthusiasm Explode Into Passion!!! SplashDance, the holiday dance party is here, and this one promises to be the best yet. 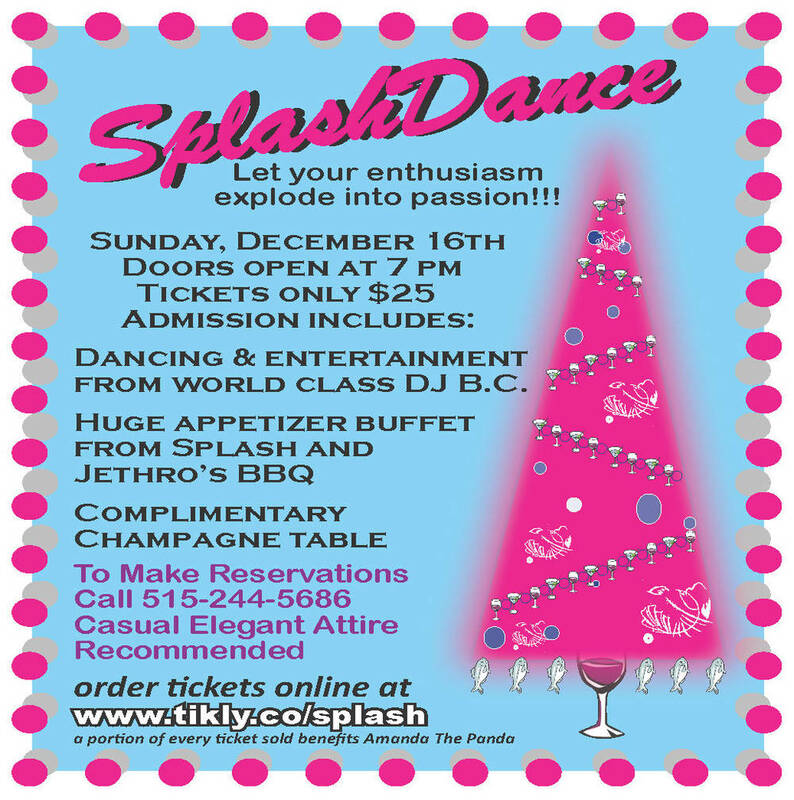 There is no better way to celebrate the Holidays than SplashDance. On Sunday, December 16th Splash will again transform into Des Moines most exclusive adult nightclub for a night of dancing, dining and romance! Doors open at 7:00 and the music thumps until 11:00.